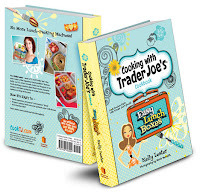 An on-the-go mom seeks to keep her kid interested in healthy and adventurous eating through creative lunches and cooking. 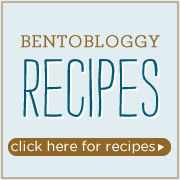 Bentobloggy is your go-to bento blog for unique and fun ideas for getting your kids to eat what you eat - in a whole new way. 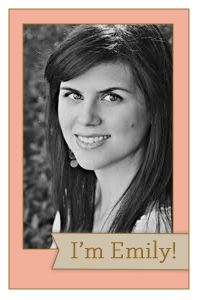 I'm Emily, and my goal is to present healthy foods to my young daughter in a way that interests her, and gets her to be more adventurous in her tastes. It seems I'm succeeding - she now eats more fruits, vegetables (raw and otherwise) and ethnic foods than any other child I personally know of. 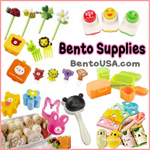 I use a mix of exciting foods, temptingly-shaped and decorated then packed into a bento box to whet the smallest appetite. I work part-time from home (most days) as an IT manager, free lance copywriter and voice recording professional, and I'm fortunate that my job allows me to spend lots of time with my girl at home, and volunteering at her school. While I live in Atlanta now, I feel like I'm a Maryland girl at heart, having been born and raised in the Annapolis area. My father is an Englishman who has worked for the Saudi Arabians for 30 years (and whose food-loving coworkers are from Egypt, Bahrain, Iran and other Mid East locales), and my mother grew up in a Navy family as a world traveler (Korea, Japan, Morocco, Cyprus and more.) Thus with these influences we were raised with a fantastically wide range of international cuisines and flavours. My hobbies? I collect pretty aprons, vintage Descoware, (Cherry-Flame) and Le Creuset (Flame) enameled cast iron pieces, so if you see anything neat, drop me a line! 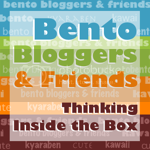 In this blog you'll also find a lot of non-bento recipes, from simple to gourmet. I never publish a recipe I don't think is great, so I hope you try them. I always enjoy feedback, so let me know what you think. 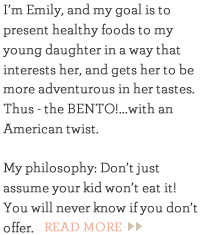 My philosophy: Don't just assume your kid won't eat it! You will never know if you don't offer. Favorite - Favourite? Neighbor - Neighbour? Color - Colour? What is up with your spelling, ma'am? I grew up spelling everything using the Queen's English, thanks to my father. Yes, even in school. Our parents made it pretty clear to our teachers that they wanted us to be allowed to spell with extra "Us" and other quirky English attributes without penalty. While I try to use American spellings as much as I'm consciously able, it is always my first inclination to spell the way I was taught, and thus you'll see the alternate spellings (and ubiquitous "Us") sprinkled throughout this blog.